Jessie Eugene “Crow” Hines was born on September 19, 1942 to the late Mr. Jessie Raymond and Mrs. Daisy Lee Moore Hines. He departed this life on July 29, 2018 at his home in Tiplersville, MS.
At an early age, Eugene professed his hope in Christ at True Church of God, presently Greater Mount Olive Church of God in Christ, where he was a member until death. Eugene graduated from Line Street in 1961. After graduating, he went to Mississippi Valley College in Itta Bena, MS, on a football scholarship. Eugene was drafted into the U.S. Army, where he served honorably. 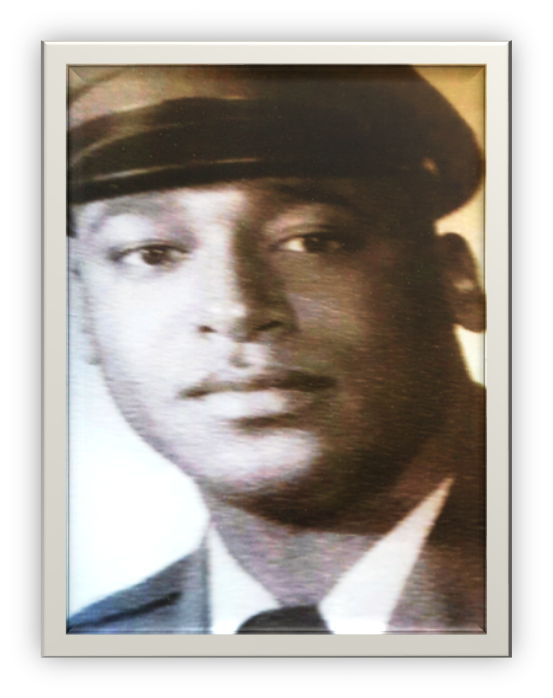 After serving in the military, he moved to Flint, MI, where he worked at General Motors. Later, he returned to Mississippi and got a job at Biltrite. After a time, he decided to go back to school to further his education at Northeast Mississippi Community College in Booneville, MS, earning himself three degrees. After college, Eugene also worked at Carrier and Dover. He was joined in holy matrimony on June 28, 1972 to Alice Faye Johnson Peterson Hines. To this union three children were born, Gregory Eugene, Jessica Monique, and Felicia Tennille Hines. He was also a loving stepfather to Jeannie Charlene and James Curtis Peterson. Eugene was a very fun-loving man and to know him was to love him. His mother often referred to him as “her girl”, because he could clean better than any woman and when needed, he was always willing to help. He leaves to cherish his memories a devoted wife of 46 years, Alice Faye Hines; his children, Jeannie McBride of Ripley, MS, James (Lindia) Peterson of Blue Mountain, MS, Roxie (Howard) Williams of St. Louis, MO, Samuel “Blondell” (Irene) Spight of Clovis, NM, Gregory (Stacy) Hines of Tiplersville, MS, Jessica Monique Hines of South Haven, MS, and Felicia (Tyrone) Foote of Myrtle, MS; two brothers, Albert (Gloria) Hines of Flint, MI, and Donnie (Gretchen) Hines of Tiplersville, MS; two nephews, Leon Hines of Louisville, KY, and Re’Zean Prather of Ripley, MS; two nieces, Elke (Reggie) Lipsey of New Albany, MS, and Philnita (Ernest) of Ann Arbor, MI; four aunts, Louistein Blissett and Hadie Colyer of Chicago, IL, Eldora Clincy of Memphis, TN, and Charlotte Grove of Tiplersville, MS, a host of grandchildren, great grandchildren, nieces, nephews, cousins, and friends. He was preceded in death by his grandparents, Rev. Todd and Gertrude Hines and Jim and Flossie Moore; his parents, Jessie and Daisy Hines; a brother, Perry Nunn Hines; a son, Stanley Spight; and a special niece, Donnita Hines Perry Brown.